I hope everyone has been well and had a wonderful Monday! Today I bring to you another book review, and my first ARC Review on my blog! This is super exciting for me. I received the Advanced Readers Copy version of this book in eBook format from the lovely team at YA Bound Book Tours, and I managed to finish the book within 9 days, despite having to read it on my iPhone. Disclaimer: I was sent an Advanced Readers Copy of this book in eBook format by YA Bound Book tours in exchange for an honest review. It was released on the 8th of August 2016. Beautiful is an understatement for this cover! This cover is alluring. At first glance I thought this cover had to be a metaphor for something like depression, as depression is often depicted as “drowning” and the girl in the image looks as if she is drowning upside-down in a deep blue sea, but not too far from the surface, where there is still hope. When I was reading this book, I was listening to my music – mostly so people wouldn’t annoy me while I was reading – and I found that Chapter 10 fits really well with the Fall Out Boy song, “Just One Yesterday” which happened to just come on and stop at the right time when Jacob showed how determined he was to change Charlotte’s eating and sleeping habits. In a way, I did find this book full of really typical story tropes. The protagonist of the story loses her family in a car accident at the beginning of the story, and also had a fallout with her best friend two years prior, although what made these tropes bearable was the way they were dealt with. At one point of the story, Jacob and Charlotte discuss the reasons for her parent’s car accident, Jacob tells Charlotte the unthinkable and confronts her guilt with reasoning, the type of reasoning that people who want to respect the dead refuse to hear. Charlotte’s character went along the premise of “who’s going to blame the dead for their own death? 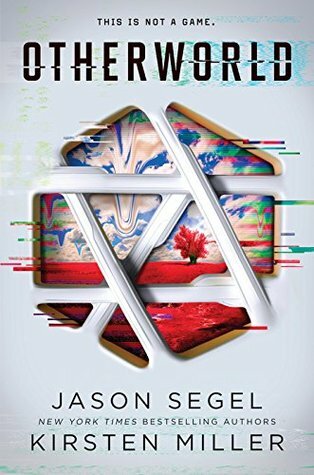 It’s only reasonable to blame yourself, as you’re the one that lived.” and unlinke other stories, Jacob totally brakes this and addresses the taboo by blaming the dead for their own death, because it’s the truth. The first couple of chapters were a little bit confusing to read in terms of determining who-is-who in terms of characters but once relationships are established the story is very easy to understand and from there you will be sucked in by the story and suddenly spat out at the end leaving you all confused and flustered. I did find it difficult to read on my iPhone because of these first few chapters where I had to keep flicking back and forth between pages to establish a mental relationship tree for the characters. I was a little indifferent about the ending/ epilogue chapter. I would’ve loved for it to be a few months later, with Charlotte and Jacob making plans for what to do with their Lake House, as it would’ve been a lovely note to leave it on with hopes for a happy future. I guess the only reason I didn’t quite agree with the way it ended was because it showed the true reality of life. That they can’t be living a happy fairytale and there are some troubles in life that need to be overcome before we can have what we want. Gave this book a ★★★★★ (5/5 stars) on Goodreads. Where I did start off the story a little bit confused, I managed to continue the story and I was unknowingly drowning in the story. Branches made sure to keep the secrets hidden until the very end making me more and more curious with each turn of the page. This book is probably more deserving of a 4.5 stars than the whole 5 stars I gave it but I had to round it up to 5 and not down to 4. The “secret” that Jacob is trying to hide from Charlotte was somewhat predictable as you keep reading the book due to the family tensions, but the twist that Branches placed on that secret left me open mouthed and just stunned. I had to stop reading for a few seconds to go through the events of the story thus far in my head. The Goodreads Summary *It’s a stand-alone* is stated because the book makes you crave more well after it has ended.